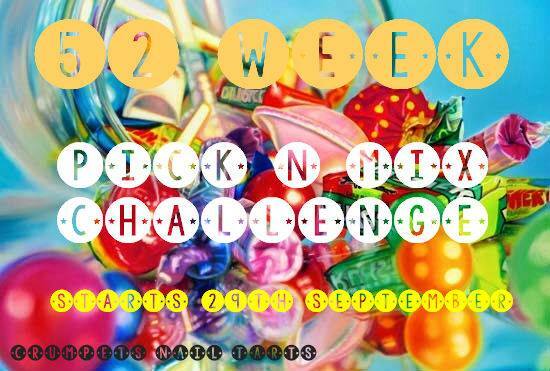 The two prompts for this week’s 52 Week Pick n Mix Challenge are taupe and paisley. 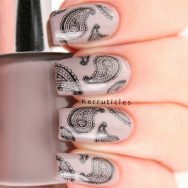 For the first time since February, I’ve combined the two and done some taupe paisley stamped nails using Nails Inc Marylebone Mews. 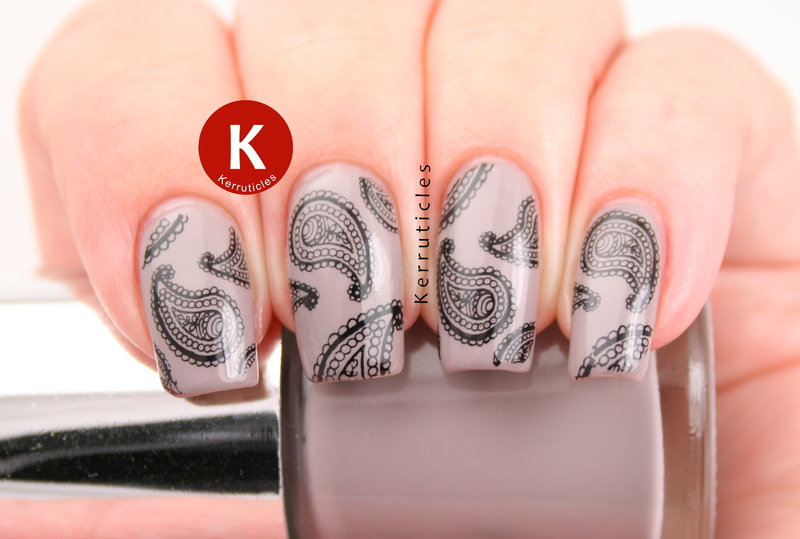 It’s not the most imaginative nail art you’ll see for the this prompt. I couldn’t get very inspired today and quite fancied some plain black stamping on the mushroomy, taupe background of Nails Inc Marylebone Mews. This polish came free with Glamour magazine last December, but this is the first time I’ve worn it. It’s a lovely colour. 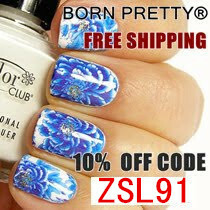 I’m always seduced by the magazine offers of a free polish for the cost of a magazine. 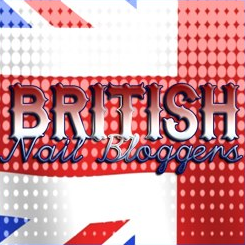 But they’re mainly Nails Inc polishes, and we just don’t get along very well. I find they bubble a lot. I had a bit better luck with this one. The second coat *did* bubble, but I left it overnight and painted a third coat the next day, and that seemed to be fine. I do know though that when I remove it I will see all the bubbles. I can’t understand why Nails Inc polishes are so bubbly. I don’t shake my polish, and it’s not like it’s very hot today (my polish bubbles more when applied in the heat). 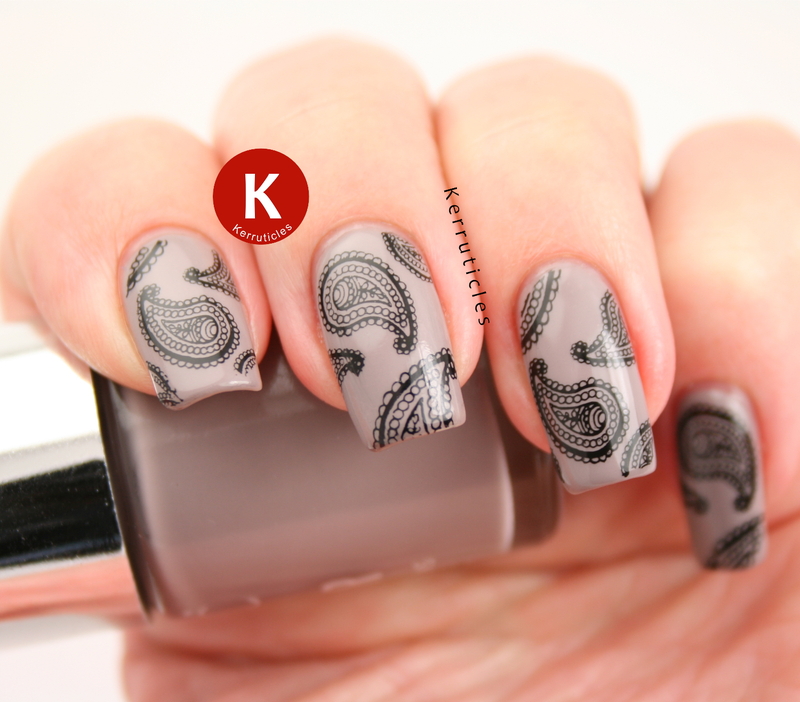 I stamped the paisley pattern from Bundle Monster BM-315, using Konad Black. It’s a very simple look. But lovely too. Love it! 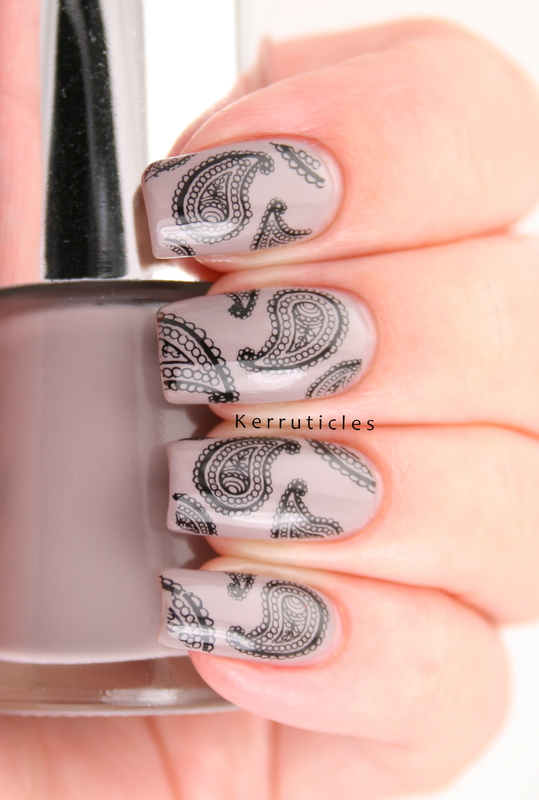 Love the base color used and the stamping design is simply amazing. Great choice and of course, great job girl! This is just a very classy look. I like it!